Did you know that the solution to having a long lasting, highly effective Sprinkler system year after year is making sure that your system receives regular inspections and maintenance? That’s right. All of the experts agree that by regularly inspecting and maintaining your system ensures that you maintain the cost of operation down and ensure that it continues to deliver all of the benefits that you deserve. Mesquite TX Sprinkler Repair is confident our commitment to outstanding customer service not only allows you the best possible experience but the opportunity to install money saving Sprinkler Service, Sprinkler Systems, Drip Irrigation. 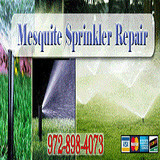 Mesquite TX Sprinkler Repair specializes in lawn irrigation, landscape lighting, drip irrigation, and drainage systems. Contact us at 972 898 4073. Provides sprinkler repair and affordable irrigation services in north Dallas, Plano and surrounding suburbs. 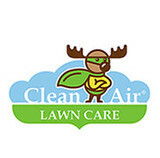 Clean Air Lawn Care Dallas is a full-service sustainable and organic lawn care company for residential and small commercial properties. By working with Clean Air Lawn Care Dallas you choose a lawn care service that is professional and cares for the health of your property, family and our environment. Our team is formed by "true believers" that promote sustainable practices with solar-powered lawn mowers and organic fertilizers that are safe for kids and pets. We work with the unique needs of your yard to bring you the most beautiful and healthiest lawn in the neighborhood. Contact us for a free estimate and let us show you how your lawn can look amazing the natural, chem-free way! 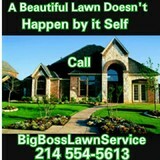 At Big boss lawn service each client is important no matter how big or small the . Each client receives a professional service of high quality that is backed by integrity and pride. Haddon Irrigation has over 25 years of design experience. Our designs can range from small intimate gardens to large commercial projects, always keep the client's individual needs and lifestyle in mind while maintaining the architectural integrity of the site. Whether you need a small sprinkler system repair or a complete sprinkler system overhaul, our team of well-trained technicians can help solve all of your irrigation and drainage problems. Our services include repairing heads, valves, leaks, controllers, troubleshooting wiring problems and any other repairs to your automatic sprinkler system. We can help you with a sprinkler system overhaul for older sprinkler systems or redo the sprinkler system after a pool or landscape is installed. We have the tools and experience to find your problem and repair it quickly. We repair all brands of sprinkler systems including RainBird, Hunter, Irritrol and Weathermatic. Let us provide all the services you need for your outdoor living pleasure. Our goal as a company is to provide you with excellent service and gain a customer for life. Remember, your yard is the first impression your home sends to people. A properly maintained sprinkler system will keep your grass, plants and trees looking their very best. D&J Garcia Services was established in Garland, in 1999, with just a handful of customers. In 2000 business blossomed for us into the Richardson and Rowlett area as well. In 2001 we bought out another commercial company and added acreage mowing and property managements segments to our business. Then in 2002 we added the northern areas of DFW such as Plano, Wylie and Murphy. At D&J Garcia Services, we know that your lawn or landscape is very important to the image and quality of your home or business property. That’s why we constantly strive to offer quality work, prompt and friendly service and attention to every detail. We work all year round. We also provide seeding for Winter Rye Grass and provide effective lawn/turf management. We are able to trim bushes, trees, and shrubs with an eye for making your curb appeal or commercial property stand apart from the rest. Jacob's Irrigation Service is a locally owned and operated business. We take great pride in providing the highest quality finished projects for fair and reasonable prices. Our customer's satisfaction is our number one goal. We focus on any size job. No job is too big or too small. Please be aware that we have a $75.00 dollar service call fee that is charged to come and look at your job. If I do the work for your residence than this fee is deducted from the final price of the job in total. Here you can find answers to most of your questions. Our customers love our excellent service and low prices. We have been offering mowing and bedding services here in the DFW are for over 15 years and would like the opportunity to serve you. I will work hard to get you the irrigation and landscaping results you want for your Garland, TX or Dallas Metroplex property. At Southern Comfort Irrigation And Landscape, I have the experience and the design savvy that you need to transform the look of your property. Whether you are a homeowner, or you want to enhance the look of your business, my irrigation and landscape crew can handle the job. All employees have been with me for a very long time. Your property gets a single chance to make a lasting first impression. If you want to enhance the exterior portion of your home or commercial property, our professionals can help you. Our lawn sprinkler and landscape crew make it their goal to transform our customers' yards and lawns, and we are dedicated to quality. Your premier lawn care experts, based in Carrollton, TX. Highly rated, always professional, and passionate about lawn care. ULTIMATE CARETAKERS We treat every lawn we take care of as our own, because that's our passion, and we love it. PROMPT AND PROFESSIONAL We pride ourselves on our timely work, our professional attitude, and our happy customers. COMPETITIVE PRICES With pricing flexible for anyone's yard, we stay competitive to give you the best bang-for-your-buck! Irrigation Guru is a professionally licensed and insured/bonded company, proudly serving the Dallas Fort Worth area. We specialize in residential and commercial irrigation installation and repair. We offer expertise in French drainage, as well as installing pavestone retaining walls. We work side by side with our clients to design and install custom systems to accommodate their budget and needs. There is no job too big or small. Call to schedule a free estimate at your convenience. 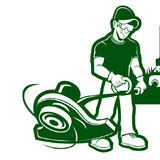 The Weekenders Lawn Service, has been family owned and operated since 1999. It was originally started by an Arlington, Texas native, Lamar Jamison, and has recently been inherited by his son in law, Juan Loya. For the past 10 years both Lamar and Juan have acquired a great wealth of knowledge and experience in the landscaping industry. Now, with Juan's experience & expertise you can trust, The Weekenders, to design & maintain amazing landscapes for your home or business all at a reasonable price!